PORT-AU-PRINCE, Haiti – Thousands of protesters took to the streets of Haiti's capital on Thursday to demand President Jovenel Moise's confusion against protests. The protesters want Moise to resign not to investigate allegations of corruption in the former government over Petrocaribe, a Venezuelan subsidized energy program. They promised to continue the demonstrations over the weekend unless the president resigns. Police spokesman Gary Desrosiers said a person had been killed, apparently in a shoot Near a protest, 36 people were arrested and four police cars burned. Protests Valckensy Dessin said he protested against corruption, which enriched a few at the expense of the majority who are poor and hungry. "That's impossible," he said. "It is one of the main reasons why we decided to stay with the people with the working class." 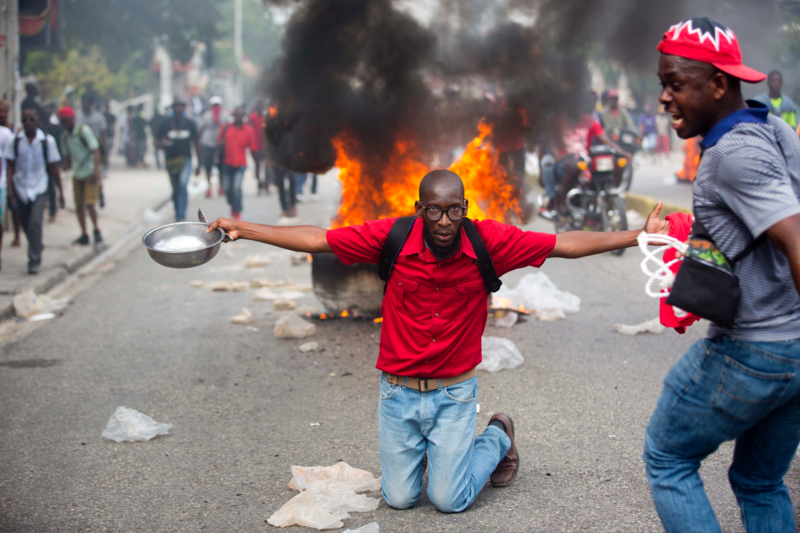 The protesters marched, chanted, and held banners in the Port-au-Prince streets and said, "Where's the Petrocaribe money"
Protesting ignition vehicles in the middle of the streets while police in riot gear were seen firing gas containers. Opposition leader Moise Jean Charles said protests will continue in the coming days until Moise resigns, something Haiti's president says he will not do. "We do not stop, we continue on February 8 and 9 to join President Jovenel Moise," said the opposition leader. "If Jovenel Moise doesn't want to go down from power, we'll mention a temporary president in the coming days."